The Japanese voice/mocap actors that played as Ryo and Ren, Masaya Matsukaze and Takumi Hagiwara, created a slapstick video of themselves filming in the city of Shanghai - dressed as their characters - for the promotion of the upcoming Shenmue II. Although this video has been around on the net for several years, being in Japanese it has not been been very accessible to non-Japanese fans. So now I have added English captions to allow it to be appreciated by a wider audience. 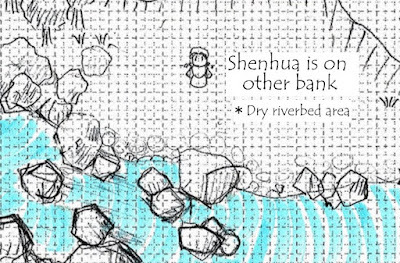 The concept of the 15-minute video is ostensibly the filming of a new TV commercial for Shenmue II, which in reality is just a pretext for humorous interaction between the pair. 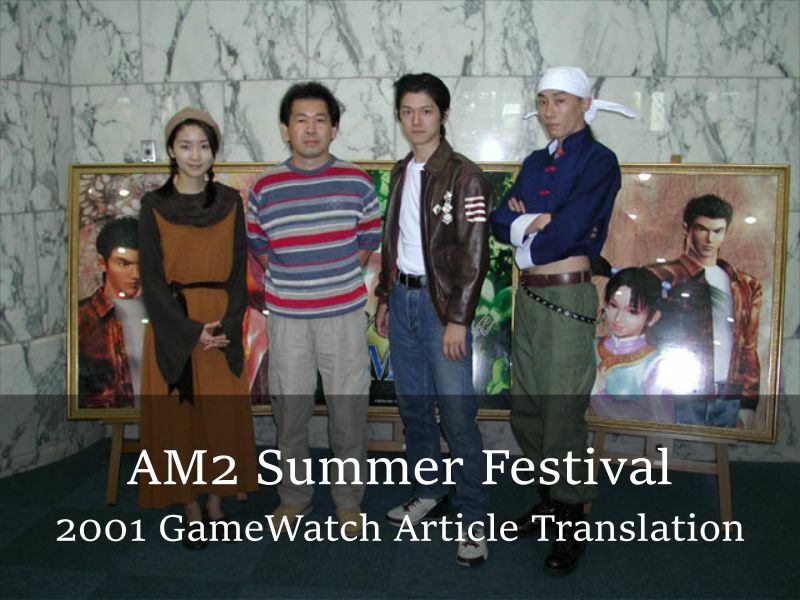 The video was originally screened at the 2001 AM2 Summer Festival event (which you can read about in the previous post), and it was also later included as bonus content on the Japanese DVD of "Shenmue: The Movie". A youthful Matsukaze takes on the role of director and drags Hagiwara around various parts of Shanghai in his quest for a suitable filming location. They have a great rapport and they are clearly enjoying themselves. 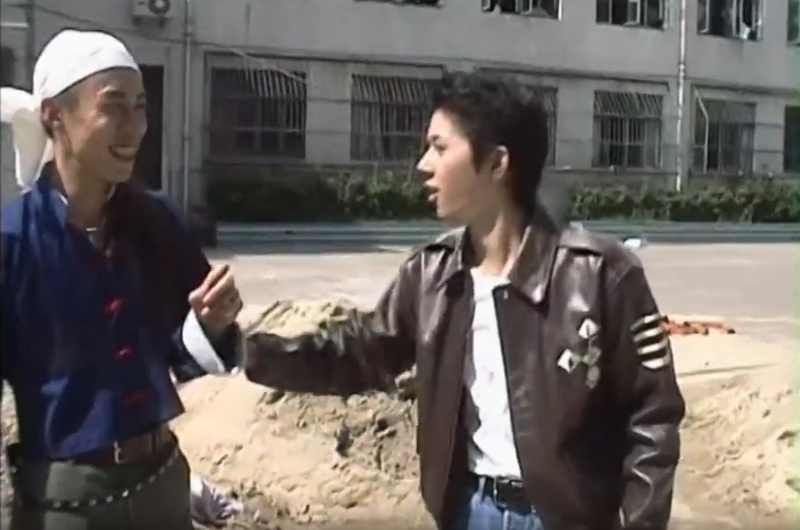 Hagiwara (Ren) is chided by Director Matsukaze (Ryo) for his unsatisfactory acting performance. Back in 2001 an event called the "AM2 Summer Festival" that was held in Tokyo in early September of that year. 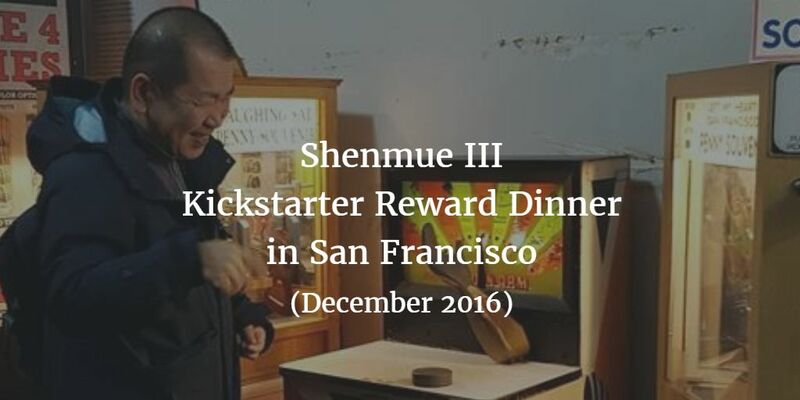 The event was attended by Yu Suzuki and helped to promote the soon-to-be-released Shenmue II. Today's post is a translation of a GameWatch news article that conveys the atmosphere of the event, with photos of Yu and some of the Japanese voice & motion actors who worked on Shenmue. The article translation starts below. A few weeks ago in a joint interview with Katushiro Harada, Yu Suzuki shared an early Shenmue project document that had not previously been shown in public. Ryo... ahem, Akira takes a practice swipe. The document describes the concept for a Tile Breaking part-time job, with notes in Japanese text. I've translated these notes into English in the version below (click on the image to view in full size). Today we take a look at a Shenmue-themed comic strip that was published on the official Shenmue.com website around the time of the release of the Shenmue games, to which I've added an English translation. First, a few background notes that tie in to the comic. 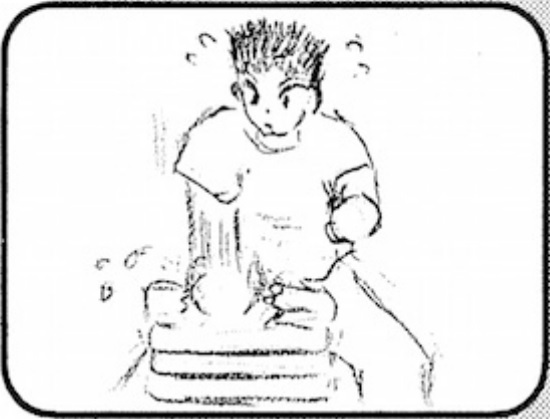 This comic strip was part of a section of Shenmue.com called "Muecas" (a word that was formed from "Shenmue and Dreamcast" Cast Fans" - thanks to Kiyuu for the clarification! Trust me, it sounds less weird in Japanese). Contributors to those section were called the "Muecas team", and consisted of a group of actual Sega staff who had been working on Shenmue, as well as a number of fans from the general public. The logo of the Muecas Team. 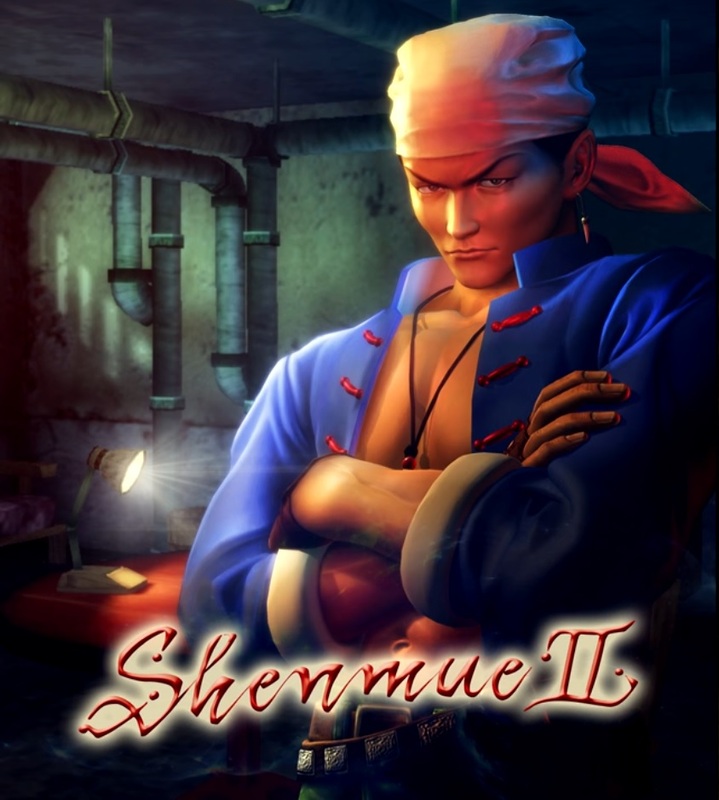 To help fully appreciate the wealth of tunes contained in the Shenmue games, long-time contributor and administrator of the Shenmue Dojo Ziming has been working on a long-term project over a number of years (with input from other members of the community): to create several high-quality compilation videos for the in-game and cut-scene music. 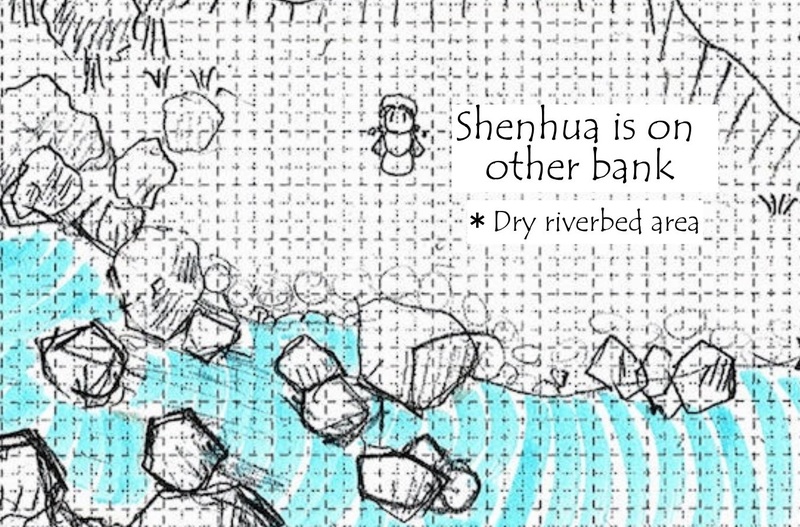 This latest offering, which he has just released, represents the last entry in a project covering Shenmue II music and is a compilation of all the cut-scene music from the Kowloon area. In this single area alone, there are a staggering 65 cut-scene tunes representing almost three hours of music. 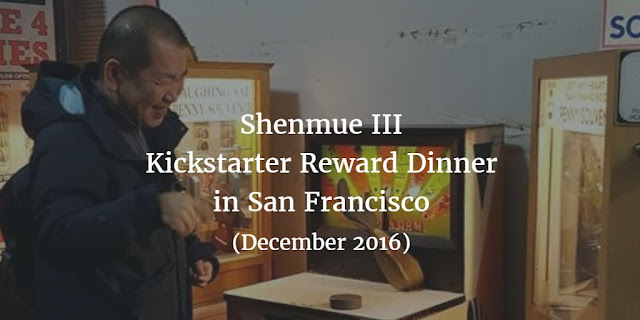 Last month in December, the U.S. Kickstarter reward dinner quietly took place in San Francisco, with an exclusive group of super-backers and their selected guests getting to spend the day with Yu Suzuki. The date had originally been tentatively scheduled for June 2016, but was later rescheduled to December. This was the third and final reward dinner, following on from the previous reward dinners held earlier in the year in the village of Eze near Monaco in February, and Japan in September. Here is a selection of photos taken at the event. The majority of images are courtesy of attendee Chris Van Graas (thank you Chris! ), except where specified. 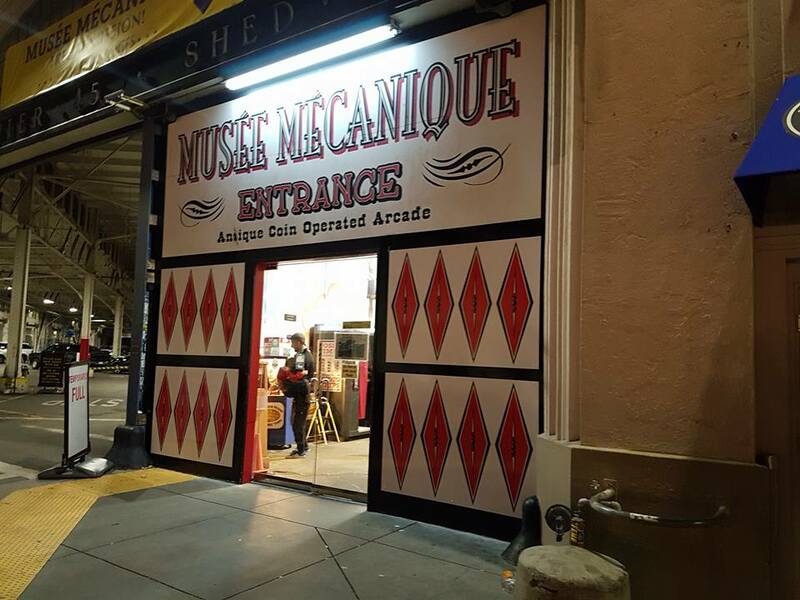 Prior to the dinner, Yu took the group along for a visit to the Musée Mécanique located at Fisherman's Wharf, San Francisco. 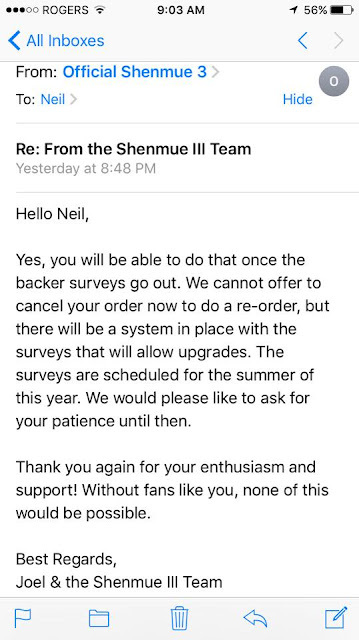 A member of the Shenmue500K Facebook group has shared news regarding a planned opportunity for backers to "upgrade" their contribution to a higher reward tier for the Shenmue 3 Kickstarter project. In an email reply from the team, they confirm that we can look forward to support for reward upgrades in the summer of this year, to be put in place with the reward surveys. This means that backers will have the opportunity to increase their contribution to a higher corresponding reward tier if they wish. 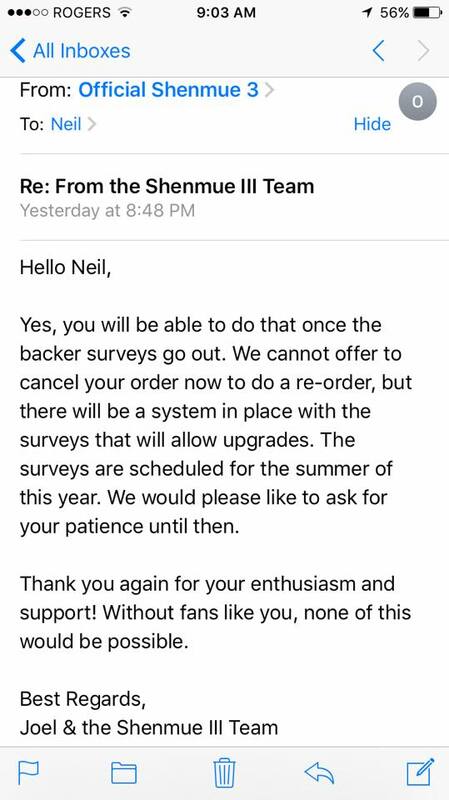 Thanks to Shenmue500K member Neil for sharing this with the community. If you have been wanting for the chance to move up to a higher reward tier, leave a comment below! 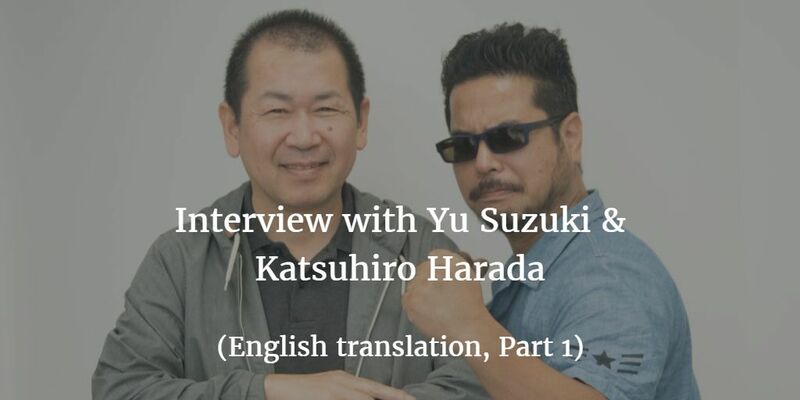 This is the second part of our multi-part translation of the Yu Suzuki and Katsuhiro Harada interview published by Japanese gaming site DenFamiNicoGamer.jp. Click here to read the previous Part One. Further parts will follow. Achieving something that feels "normal"
Note: this interview will be posted up in several parts due to length. 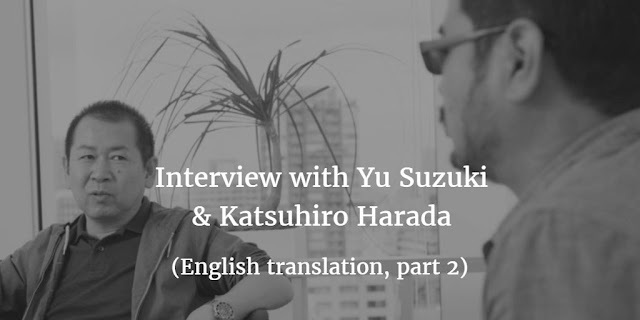 Part Two of the interview translation continues below. 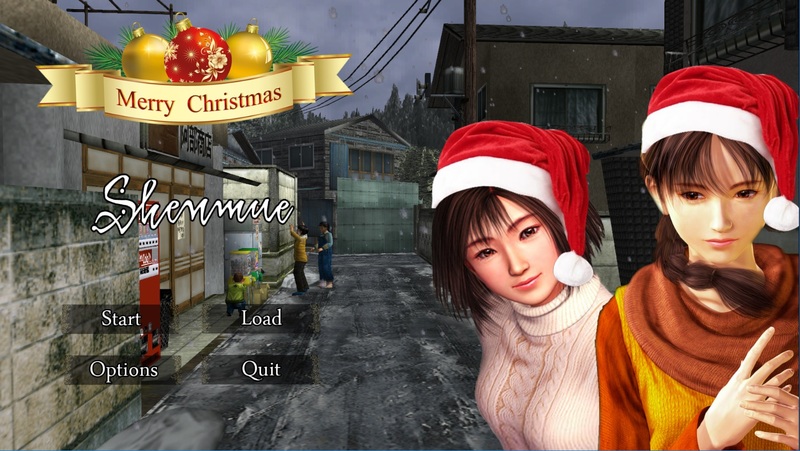 A short New Year's message from Yu Suzuki & the Shenmue III team has appeared on the official website. The message is accompanied by a cute New Year's animated "post-card" illustration featuring Shenmue characters! The kanji at the bottom read 迎春, a New Year's greeting literally meaning "Arrival of Spring". Regarding New Year's postcards, in Japan it is much more common to send these than Christmas cards. People send them not only to friends and family but also coworkers, business partners and customers. If you post them by a certain date in December, the Post Office makes a huge effort every year to ensure that they will be delivered on exactly January 1st. Also, if you receive such a post-card from someone it is polite to send one back in return, if you have not already sent one to them. In any case, let's see what interesting details are hiding in the illustration.